Update: Bill could only get a procedural vote of 58 to 46, which is two votes short of proceeding further. It received support from the White House, lawmakers, major tech companies, and a very few Republicans. Coalition of Internet and technology companies, which includes the likes of major corporations like Google, is supporting a bill that Senate will vote on this Tuesday, November 18. This bill is pushed to limit the scope National Security Agency (NSA) spying on users’ communications. This bill will “prohibit the NSA from bulk collection of their subscribers’ e-mails and other electronic communications”, reports Bloomberg. Bill is getting immense support from tech corporations which expect it to be passed before Republicans take major control next year. The issue has been getting support since whistleblower Edward Snowden leaked information about U.S. agencies pushing tech companies to turn over data about their users among many other similar acts of surveillance. Users and foreign countries have since demanded from these corporations to respect their right of privacy. Members of the Consumer Electronics Association “have already lost contracts with foreign governments worth millions of dollars,” in response to revelations about U.S. spying, Gary Shapiro, president and chief executive officer of the group that represents Apple, Google and Microsoft, wrote in a letter sent to all senators on Nov. 13. The current legislation is getting massive support from Google, Twitter, Facebook, Apple, and Microsoft in a hope to have it passed before next year as Republicans would be in majority who have supported such surveillance programs. Avoiding this transition, the current congress is expected to vote on the bill on November 18. 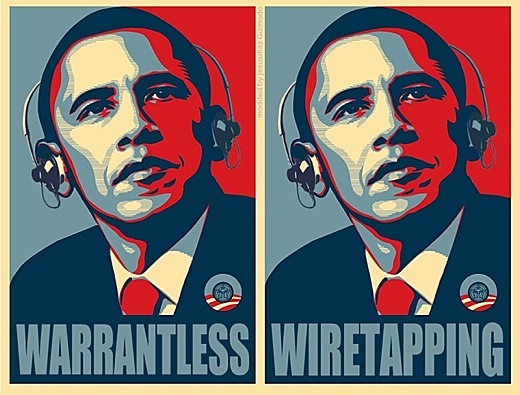 This bill will put some limitations on NSA’s spying tactics. The agency will have to obtain court orders before it could get any sensitive information from users using carriers or corporations. The bill will also make the entire process transparent by asking technology companies to gather more information on NSA’s requests. The Senate bill, S. 2685, would end one of the NSA’s most controversial domestic spy programs, through which it collects and stores the phone records of millions of people not suspected of any wrongdoing. In addition to curbing data collection, the legislation would allow companies to publicly reveal the number and types of orders they receive from the government to hand over user data. Both Apple and Google have started offering increased level of encryption and security starting this year after the aggressive backlash from users. Tech companies intend to get out of this equation of surveillance and privacy attacks by bringing in the court in between which would also restrict NSA to conduct mass surveillance and spying programs.